Are you thinking of getting a new kitten? Cats are a great addition to any home, and will bring you many years of happiness and companionship. For those pet lovers who want to get a new pet, but are concerned about the amount of work that goes into getting a puppy, then maybe a kitten is for you. Bringing a new kitty into your home may seem simple enough, but there are few key things to look out for that can save you thousands of dollars in mistakes. Here are our top tips when you are getting a new kitten. 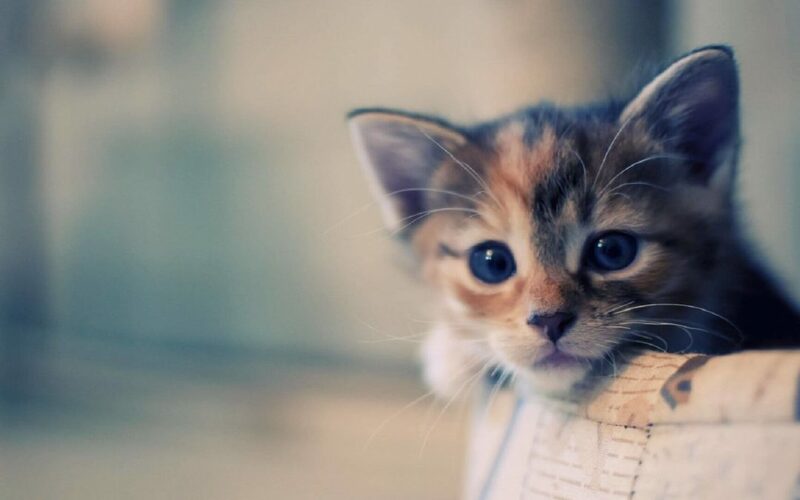 Kitten claws are seriously the cutest things ever – that is, until they are pulling on your favorite couch, tearing apart your carpet, or worse yet – scratching you or your family. Gentle scolding and redirecting your cat when they are doing something with their claws they are not supposed to, and also preparing your home with claw guards on couch corners and spraying deterrent spray in commonly clawed areas will certainly help. If you are truly interested in keeping your cats cute claws off your even cuter furniture, then invest in claw caps, a safe alternative to declawing, or even trim your kitten’s nails so their attempts to claw are foiled. While two kittens may seem like an even bigger handful, two kittens can spend hours playing with one another, and out of trouble in your stuff! Kittens need a ton of attention, and their littermate may just be of help to you when you can’t drop everything to play with your new furry friend. Don’t expect a new kitten to know what is dangerous and what isn’t – and don’t think they will stay out of certain areas. Many a homeowner has left a bathroom door open to find a long line of toilet paper all throughout their home. Remember, a quiet kitten is a dangerous one, so don’t let your kitten out of your sight until they are older and better trained. Water and chemicals are also a danger to your curious cat, so keep these locked up and water out of the way of your new friend. A new kitten needs a solid, healthy start in life. Plan to either put aside money for health-related expenses every month, or invest in a pet insurance plan. When my cat was seven years old, it got a kidney disorder that requires him to have annual testing and (expensive) prescription food every month. Look for a pet insurance plan that will help you get set up with all of the initial pet ownership expenses such as spay or neuter, vaccines and a well check, and that will also be there if your cat needs something down the line. Remember, cats typically live a lot longer than dogs, and you are in for years and years of a great friend (for indoor cats anyway). Set them up for optimal health and prepare for any health situation that may arise. With all of these preparations, welcoming a new kitty into your home will be seamless. Enjoy your new kitten!